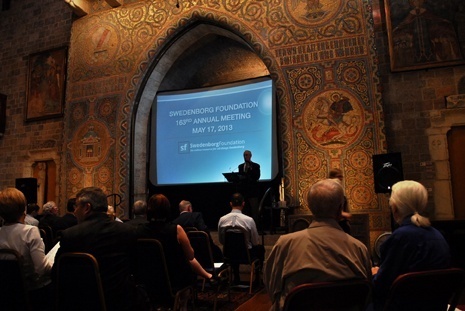 The 163rd Annual Meeting of the Swedenborg Foundation was a success! 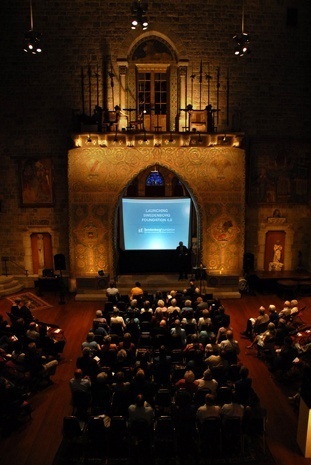 Held at the Glencairn Museum on May 17, 2013, members first attended a business meeting where they heard updates on the finances and recent publications of the Swedenborg Foundation, as well as on the progress of the New Century Edition translation project. After a short break, the main presentation of the evening began: “Launching Swedenborg Foundation 4.0” with Dr. Jonathan Rose and Curtis Childs. Dr. Rose covered the Foundation’s new goals in entering the digital world, focusing on building on past successes, free e-book publication, pricing changes to make electronic and print books more accessible, and the Foundation’s new website. Multimedia writer and producer Curtis Childs then took the stage to explain the complex world of social media and how the creation of a Heaven and Hell Facebook page began as an experiment and is now a thriving discussion forum for over 55,000 users. 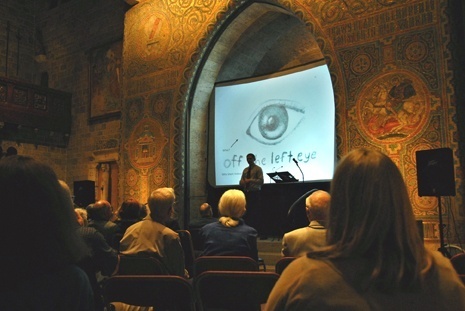 Curtis also talked about the success of the YouTube channel “Off the Left Eye” where he posts short videos that tackle questions about God and life from a Swedenborgian perspective. The newest short video, “You are the Lungs,” which highlights the skills of animator Matthew Childs, was shown to the crowd and well received. The evening concluded with light refreshment and the excited buzz of conversation about the presentation. See more images of the evening on our Facebook!